yang terbuka kepada semua nuffnang registered blogger. This contest is open to all Nuffnang registered bloggers. Visit the Urbanize website or the Urbanize Facebook page. Choose the top 5 Urbanize must-have items for your chosen category. Include these items in your blog entry. Make sure to insert photos! 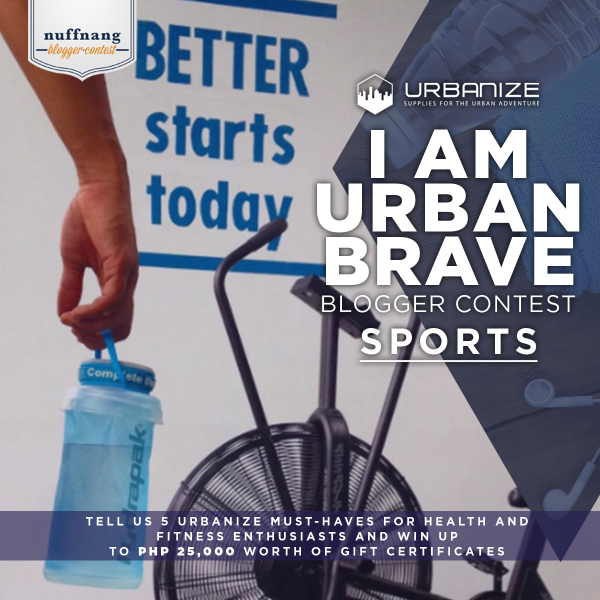 In your blog post, also tell us how you brave the Urban life each day with Urbanize products, how these items can make you urban brave, why you want these items, and how they will complement your unique lifestyle. Use the title #IAmUrbanBrave for your blog entry! Share your blog entry on Facebook, Twitter, and Instagram with the hashtags #IAmUrbanBrave, #UrbanizePH, and #BravetheCity. Register your blog entry in the form below to let us know you’ve joined the contest! Deadline of entries is April 15, 2017.